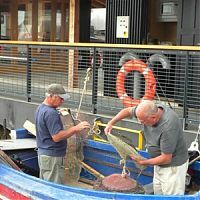 Thames Discovery Programme - Hermitage River Projects: Volunteers Wanted! Hermitage River Projects: Volunteers Wanted! 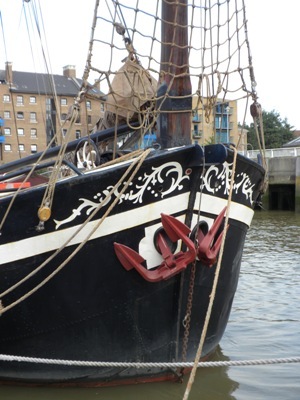 Hermitage Community Moorings, a mooring co-operative based at Hermitage Wharf, Wapping, are launching an HLF-funded historical research programme to chronicle the lives of boatmen, bargees and river dwellers on the Thames. A Sense of Place: Anchoring Heritage at Hermitage, a project which will complement TDP area- specific research programmes and broader Thames-wide research themes, is led by Hermitage River Projects; this dynamic river-based charity is located on a site of historical and archaeological significance, just downstream from Tower Bridge, in the heart of what was once the navigational centre of the City of London. Together with Hermitage Community Moorings, Hermitage River Projects has created an historic harbour to ensure the preservation of traditional river and sea-going boats including Thames sailing barges, tugs, fishing vessels and coasters. The project will collect images, film, documents, archaeological finds and histories of the Hermitage site, and the historic boats moored there to create an archive as a resource for shore-based communities including schools, museums, history groups, and local residents. The project will carry out interviews with those living at Hermitage, exploring what it means to live on the river today and be involved in preserving and restoring their historic vessels. 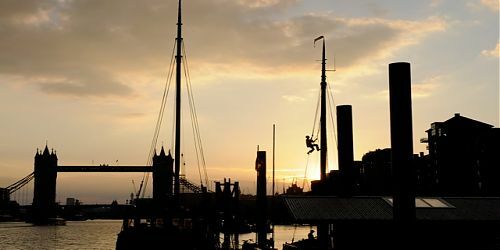 River workers will also be interviewed, with a focus on the history and legacy of the services and trades that still have a daily presence on the river today such as the Thames River Police, Fireboats and Tourist Boats. 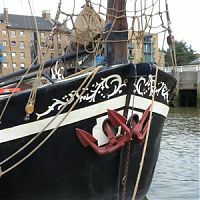 The project is looking for volunteers of all ages and backgrounds to help research and document the history of the boats at Hermitage and nearby river trades. Volunteers will be given the chance to do their own research, interview and film river workers, upload material on the website and contribute to the planning and installation of the project exhibition. Full training will be provided including oral history, research skills and filming workshops. 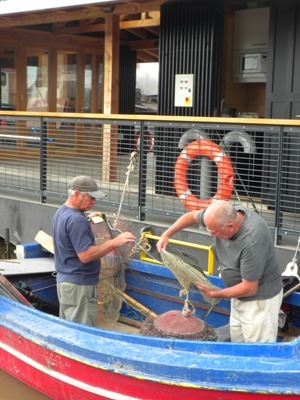 ‘A Sense of Place’ is an exciting project that will give volunteers a chance to experience all aspects of working on a river heritage project, with training starting in September 2010.